I also won a $50 gift card for Bob's Red Mill from The Lemon Bowl. DO YOU KNOW HOW MUCH STUFF I CAN BUY WITH THAT??!! LIKE A LOT! Sooooooo exciiiited! AHHHH! OMG OMG OMG OMG! I CANNOT BELIEVE IT HAS TAKEN THIS LONG FOR ME TO SHARE THIS! I'm a bad blogger. And a bad friend. Because you NEED these in your life, A-to the-SAP! One of life's biggest questions-cookie dough or cookies? Personally...I love both. And try to keep a healthy balance of both in my life. But no matter what...I feel a little cheated. 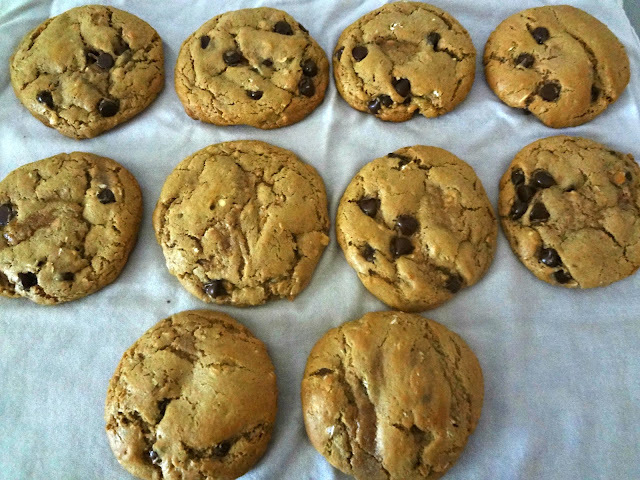 When I'm making cookies and eat a bunch of dough, I'm then upset that I will have less cookies. But when I decide to only have a teensy bit of the dough, I lament the loss of the delicious dough that got away. With these, you will not have such problems. You get the best of both worlds! Cookie: Firm, cooked exterior. 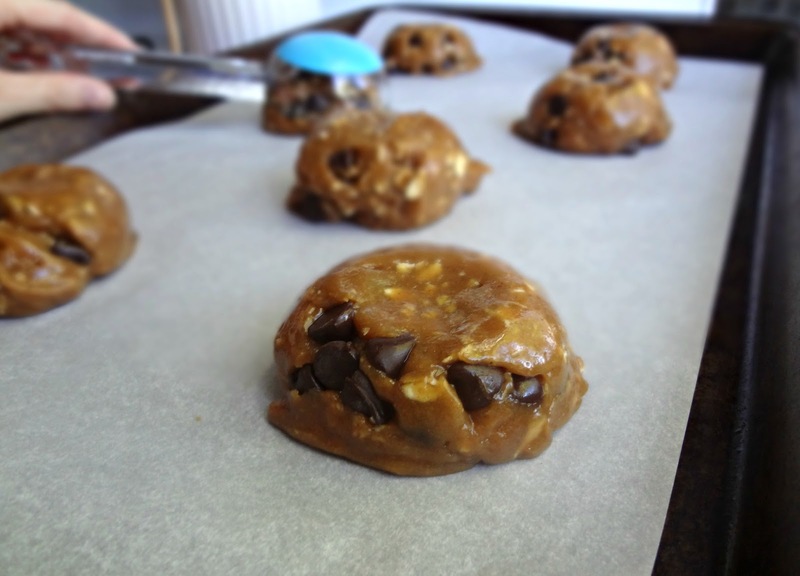 Warm and melty chocolate chips. + Dough: Dough flavor and texture in the center. = HYBRID: A warm, gooey, cookie dough/cookie marriage made in heaven! Ok. I know. I'm obsessed. 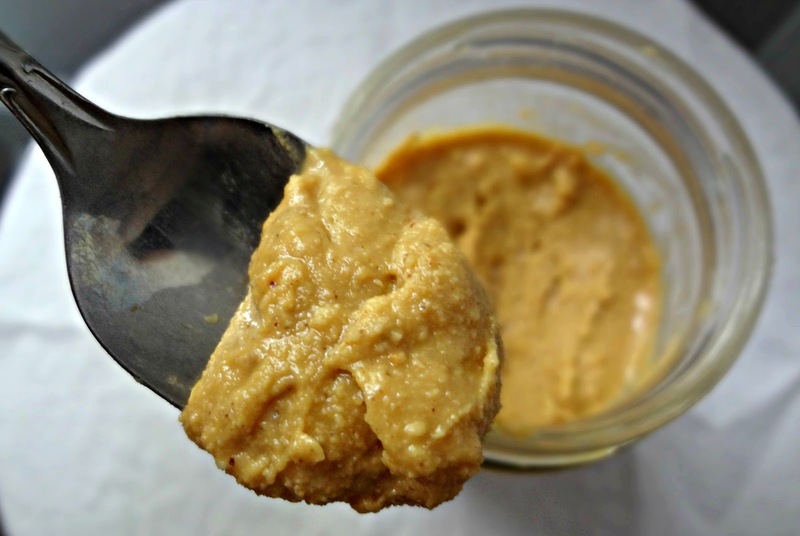 You've seen so many recipes with browned butter from me. But what can I say? It makes everything tastes so amazing! Extra buttery and just so...just...you know? 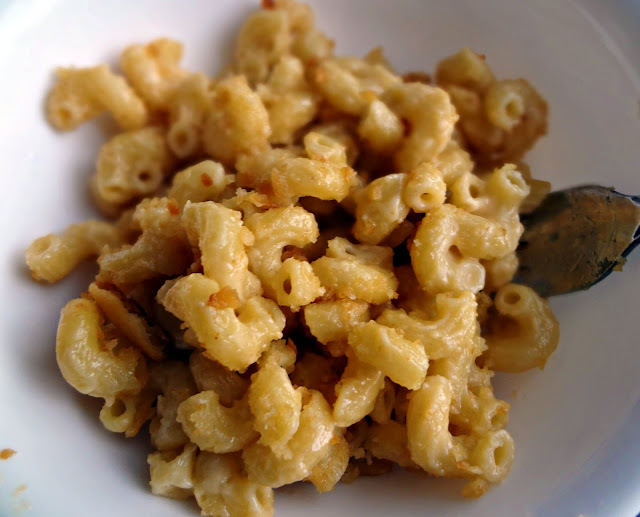 Adding the wonderousness that is browned butter can only elevate everything to the next level-and that is exactly what has happened with this macaroni and cheese. You brown the butter. You add flour and milk and cheeses to form a delicious roux (I think that's the word? Cheese sauce. It's essentially cheese sauce). You add it to your macaroni (or other noodles, whatever. I particularly like to use extra healthy noodles here, since the flavor of the sauce is so strong it helps mask anything I would maybe not love in the pasta if it were plain). Put some buttery cracker goodness on there. Bake/broil it up a bit and KAZAAM*! Delicious mac'n'cheese! I kinda wanna make some now. 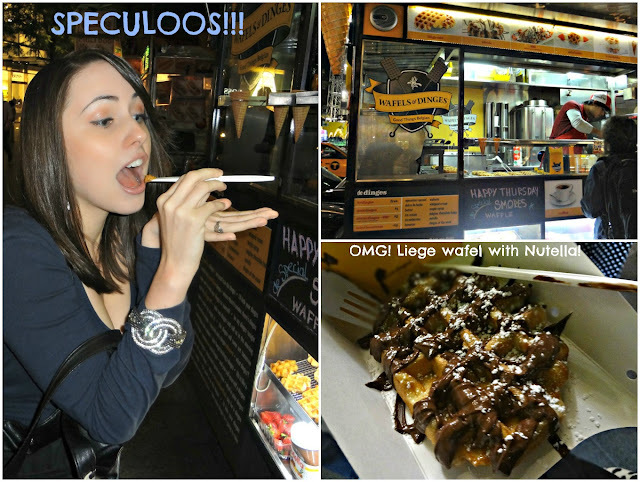 Food blogging makes you hungry-fact. Happy Birthday Michael! 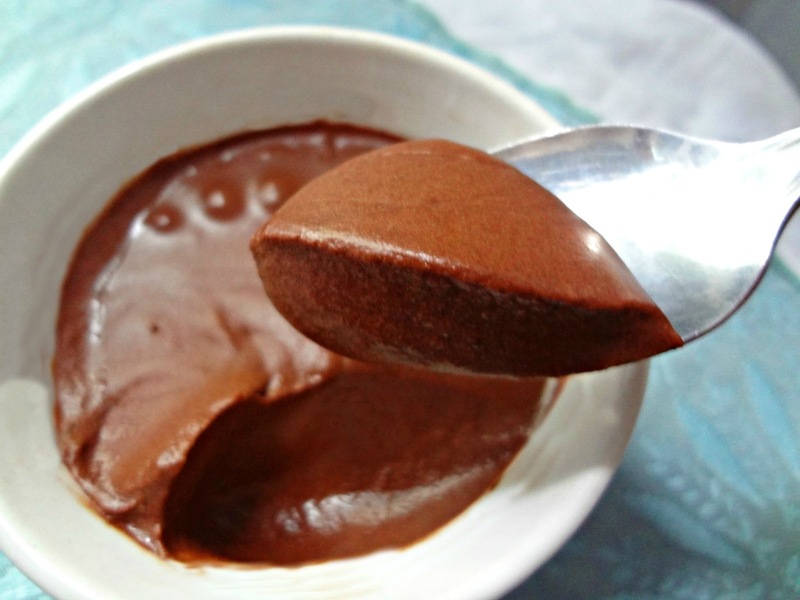 A Round Up of My Boyfriend's Favorite Recipes! Today! Today today today! Today is a great day!! Because it is Michael's birthday! The day he was born! Then of course, he had to wait around until he was a senior in high school to meet me (when I was just a wee little freshman), and as far as he knew, I was just another annoying little freshman in choir and drama with him. 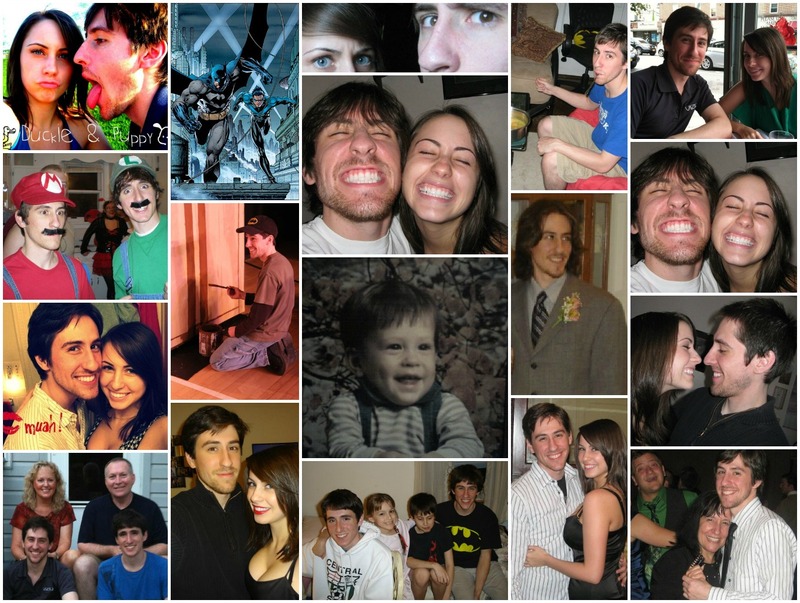 It was not until he was almost 23 that we finally had all the weird set of circumstances that led us together. It was worth the wait :). Michael's not a fan of having people make a big deal over birthdays, etc. for him, so (against his will, I might add) all I'm doing is making him a BIG dinner tonight! We're having homemade tortilla chips with salsa (for him) and homemade guacamole (for me), chicken enchiladas with a scallion sauce (since I don't normally cook Mexican for him), and he will be having mini raspberry cheesecakes for dessert! I really hope he likes everything, and I am so happy that I get to spend time with him today. I love him very much :). You guys. 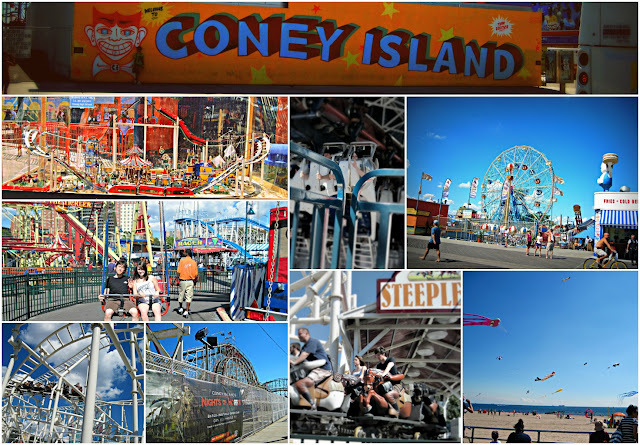 I went to Coney Island for the 1st time ever last Sunday, with my mom and Michael. We rode rides. We walked the boardwalk. Michael ate a coney dog. I ate a funnel cake (that I shared with Mom and Michael because those things are huge). It was so much fun!!! Expensive, but fun. After my mom left on Wednesday morning, we still had a ton of leftovers. Which actually worked out because we were in for a busy rest of our week. Wednesday our landlord came to fix a fan that had been sparking. And somehow over the course of 4 hours and messing around with the wiring, we no longer had power in our bedroom. Then I had to go babysit. Thursday I had to go babysit, then Michael came home from work early to stay with the electrician. Friday a guy came to patch up the ceiling (they had to cut into it), then I worked. Today I am filming. I had to get Michael's birthday dinner supplies for Monday, and now need to start making some of the components (hello homemade tortillas, guacamole, mini cheesecakes, enchiladas, tortilla chips...yeahhh) IT'S ALL TOO MUCH!!! On a happier note-THE WINNER OF THE CHOBANI GIVEAWAY HAS BEEN ANNOUNCED! Congratulations to Stefanie from Sarcastic Cooking! I'm so excited for you!! Enjoy your Chobani! But let's logically think about why I would be drawn to this recipe, shall we? 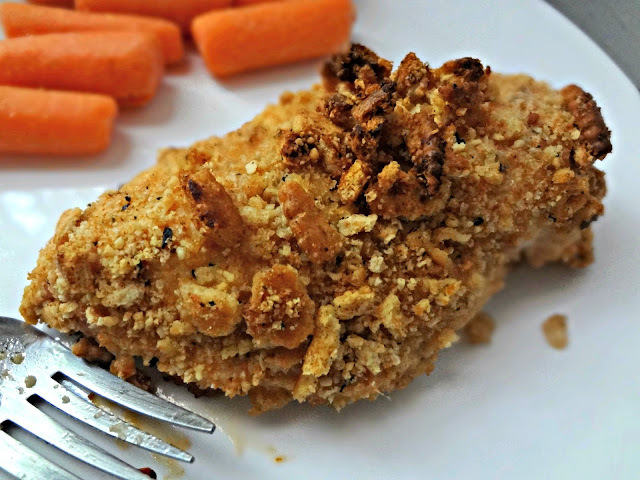 Oven fried=I love fried chicken, but don't love the calories, etc. Oven fried is a healthier alternative. So, yeah. This chicken is tasty. And pretty darn simple. 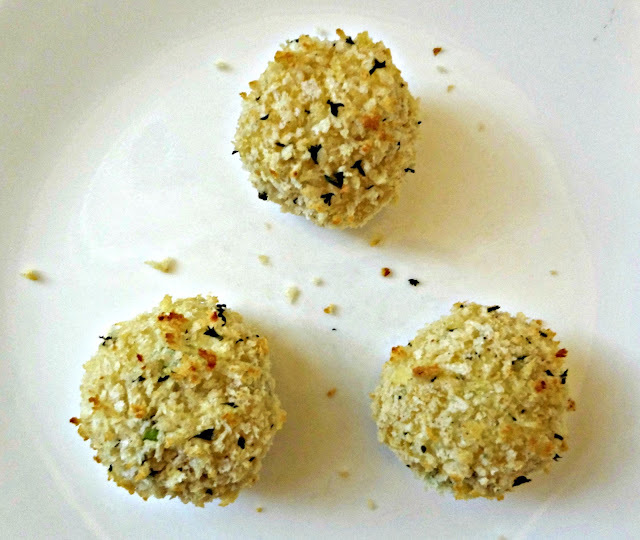 A great idea for a weeknight dinner when you're super busy! My Mom is here! Yay yay yay! I'm so excited, and it's going to be so much fun! She'll be here until Tuesday or Wednesday, so I'm going to be a bit busy, but don't fret! I will still have my blog posts up like normal next week :). More good news--I'm no longer sick. Michael either, although he still has a nasty cough. Poor boy. I first realized I was no longer sick when I was able to eat a full meal of a burger and fries. That was a good sign. Anyway, I was obviously beyond thrilled when Chelsea asked me to help her out while she adjusts to a longer work commute with a guest post! Yes! I'd love that! 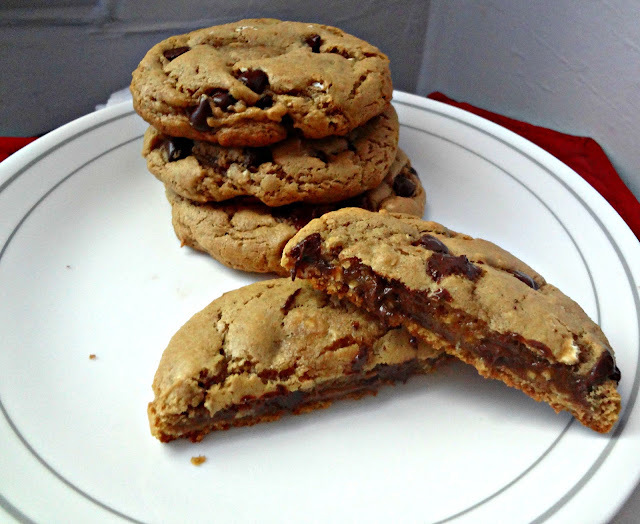 I gave her a few options for recipes to share, but she resoundingly chose these cookies. It's hard not to. They're pretty irresistable. 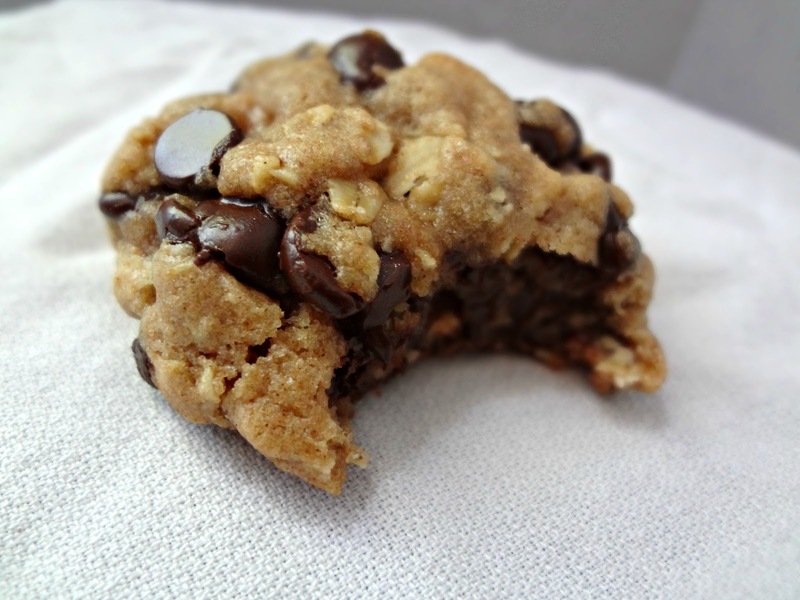 Brown Butter Oatmeal Chocolate Chip Cookies. There is not one part of that name that I dislike. These cookies are everything warm and delicious and wonderful and happy in this world. Yes. Yes, they are. 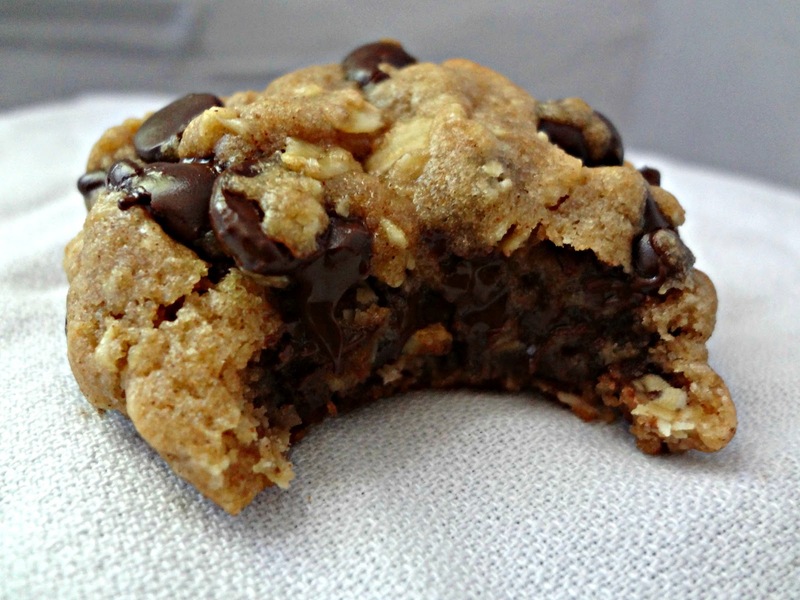 These are my new favorite oatmeal chocolate chip cookie recipe, because browned butter makes everything better. Obviously. Now, head on over to get the recipe! And look around while you're there, enjoy all the great stuff Chelsea's blog has (and how adorable it looks)! Then...go cook something! But, like, everyone else does. And when 20-somethings get together, it is often for "coffee". Many times this coffee takes place at a Starbucks. And, so as not to appear rude, I have managed to find a few things there that I frequently order and like...of course they're not a beverage. My most favorite thing to get there is their coffee cake. I loooove it. 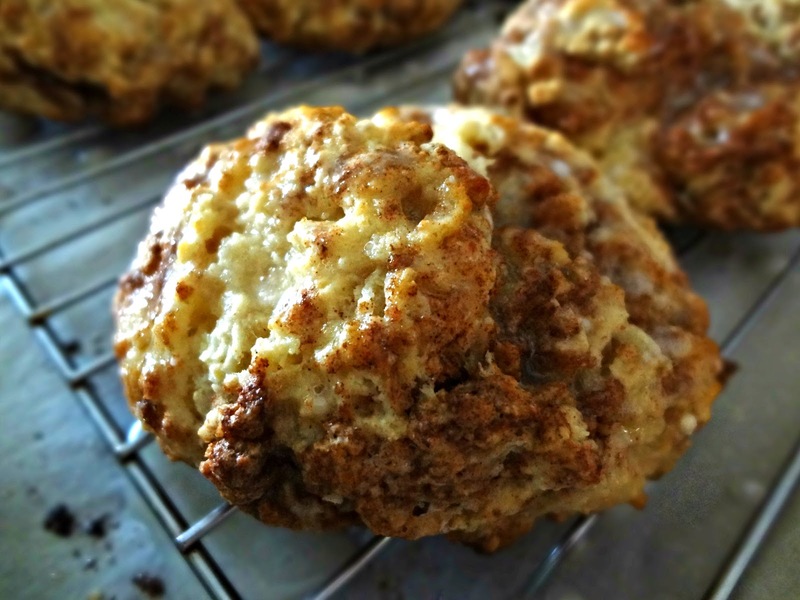 It's cinnamon-y and brown sugar-y and cake-y but with a delicious crunch from the streusel. *sigh*. This is why, when I saw a recipe on The Baker Chick for a coffee cake that was hailed as BETTER than Starbucks', I immediately bookmarked it. I am so so SO happy I did. It IS even better. 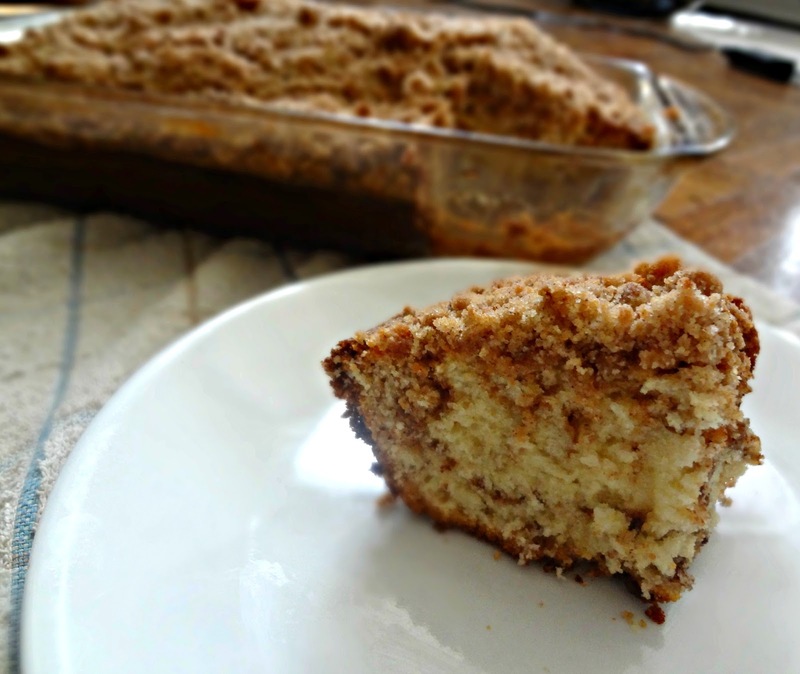 The cake is so moist, so fluffy and it is completely bursting with cinnamon goodness. I oftentimes find the cake to streusel/filling ratio lacking, but not here. This cake is heaven. AND you can make it the night before and bake it in the morning, which is so amazing because as ambitious as my morning plans are when I go to bed, that is how sleepy and lazy I feel when I awake. With this all I needed to do was take it out of the refrigerator and put it in the oven, and then sit on the couch, enjoying the heavenly smells wafting through the apartment. Ah yes, this is a coffee cake of wonders. ...You done? My voice is pretty, huh? Thanks :) Anyway! Pancakes! YOU GUYS! I made pretty(ish) pancakes! This never happens! 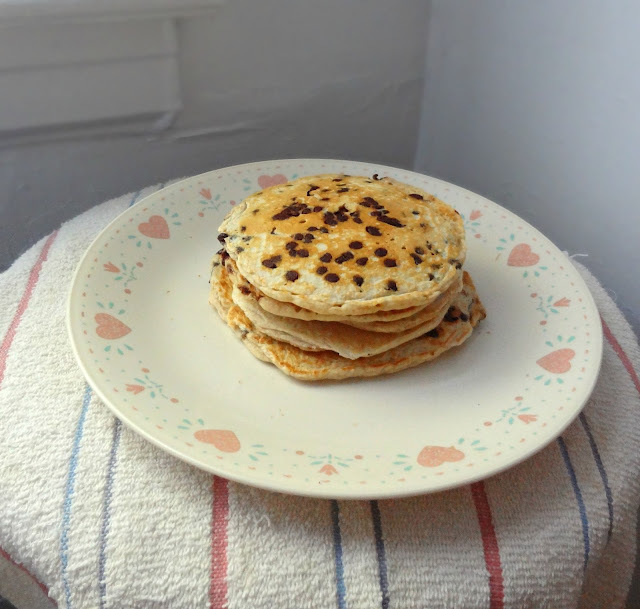 The only pancakes I've ever made that looked nice were those healthy ones! That is also why those are the only ones I've ever shared on here. Also, when it comes down to it, given the choice between waffles and pancakes, Michael and I both usually prefer waffles. But..sometimes..I don't want to mess with the waffle-maker. Sometimes all I want is a stack of fluffy pancakes. There are a couple things that make these pancakes special. They're not super unhealthy and fattening! These are made with whole wheat and Greek yogurt (which I will talk about more on Wednesday), and absolutely no oil or any other sort of fat. So-yay! The Greek yogurt in these (which I subbed in for the originally called for sour cream) makes these pancakes super moist and rich. It's quite lovely. 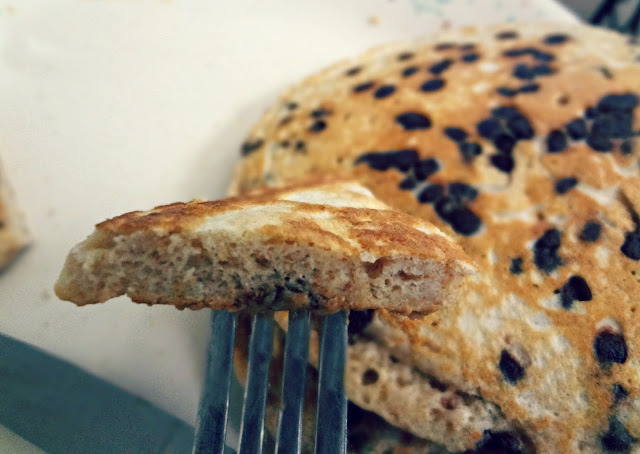 And, I also discovered I like using mini chocolate chips in pancakes. They're cute. Plus, they seem to work better. 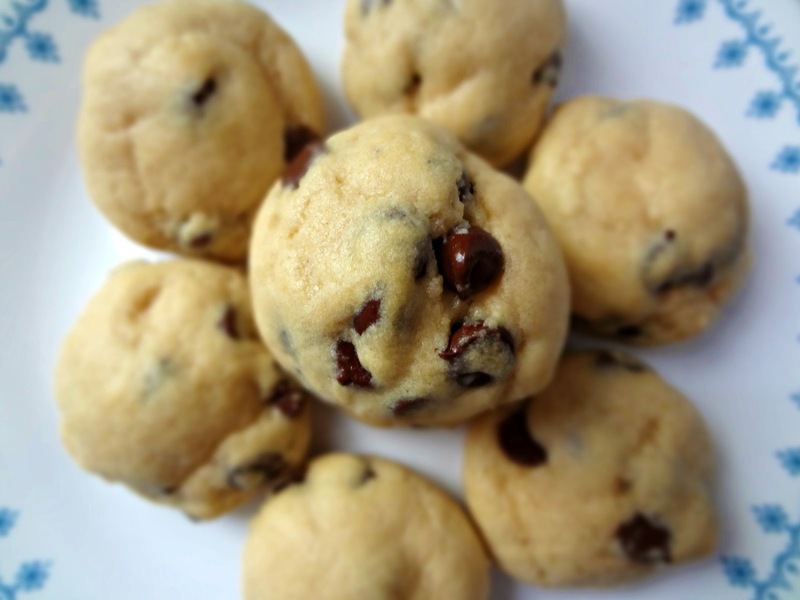 Obviously, you do not need to use chocolate chips. I am just crazy and need to eat pancakes/waffles with chocolate chips and peanut butter spread on top. 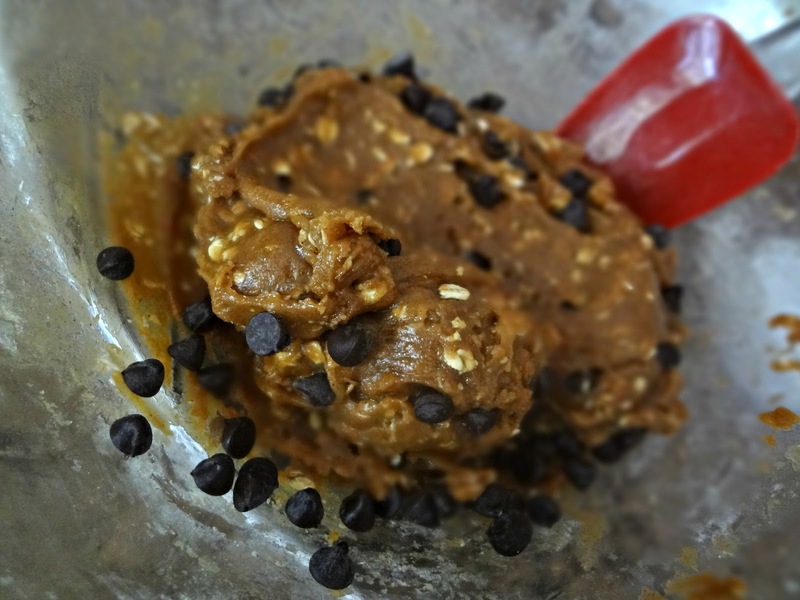 It's dark chocolate and natural peanut butter though, so, still healthy! GAHHH! SEPTEMBER! IT'S HERE! NOOOOOOO! And, apparently, to remind me that fall is looming near, the universe decided to give Michael a cold. Which I then caught. And now have. Ugh. We are so pathetic. This morning I woke us up by feverishly throwing off the sheets then shivering and getting them back. Then Michael began a coughing fit. And I blew my nose. We're like a commercial for cold medicine right now. 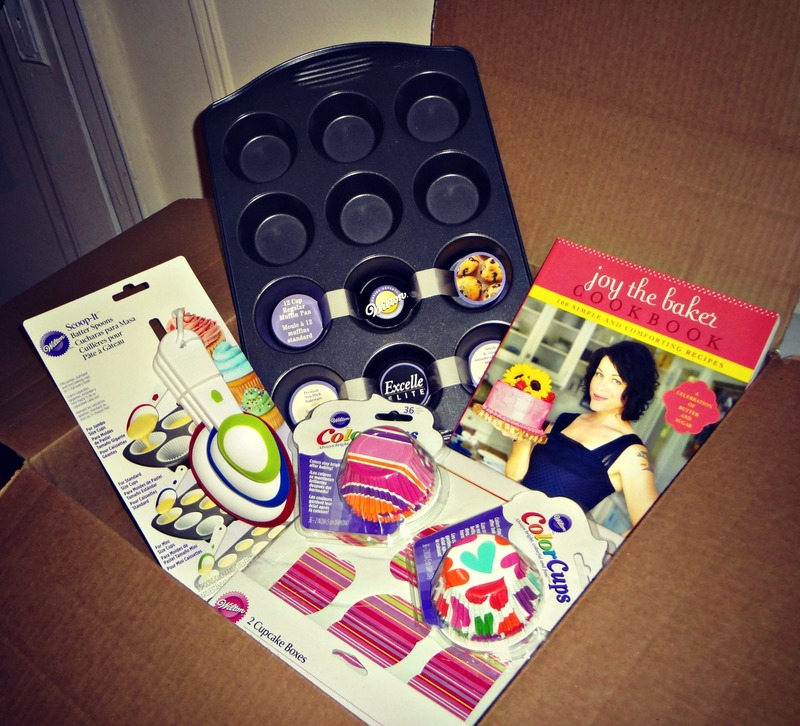 I won these super amazing Pampered Chef nesting measuring cups from Heidi at The Young Grasshopper! Thank you so much Heidi! 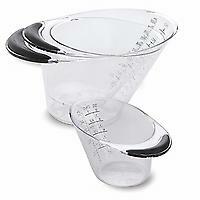 I am going to use these measuring cups A BUNCH!